There are many things that cause shoulder pain, but did you know that it can commonly come from the spine? Shoulder pain is one of the more common condition that we see at Stapleton Chiropractic and one that our chiropractors are experienced with in getting results. While there are a variety of causes for shoulder pain, it is not uncommon for it to be traced back to the spine. Why am I getting shoulder pain? Is the pain actually coming from my shoulder or from somewhere else? Is it a referred pain? How can I treat it and get out of pain? Well, Read on for answers! I thought Chiropractors only worked on spine problems! Why should I see a Chiropractor for shoulder pain? 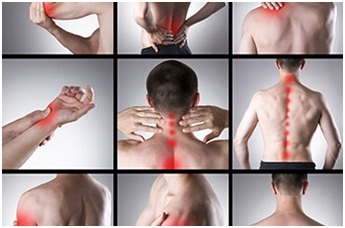 One of the things we commonly see is that shoulder pain issues can be traced back to the spine. This is because shoulder pain can due to referred pain or from the shoulder itself. It’s why we regularly say, seldom do you find the cause of the problem at the site of the pain! Just like problems in the low back can cause pain down the legs (i.e. 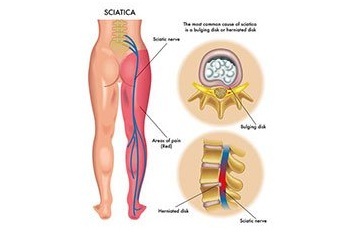 Sciatica/Pinched Nerves), problems in the upper back and neck can irritate the nerves that go into the shoulder and arm, causing referred pain and symptoms. The nerves in the upper back and neck can become irritated which can then cause referred pain into the shoulders, arms and other areas. What are some of the common causes for shoulder pain? In conclusion – There’s a lot of causes! So, what’s causing my shoulder pain? As each case is unique and there are many causes of shoulder pain, that would depend upon the results of your clinical assessment. In order to determine what may be causing your pain, a comprehensive history, examination and appropriate investigations should be considered before a diagnosis/identified cause can be given. This process should be undertaken with the guidance of a qualified health-care professional. Stapleton Adelaide chiropractors are five-year university-trained and government-regulated healthcare professionals that have the skills and expertise necessary to help work out what is causing your problem (be that a disc or something else) and the options available to you to take care of your problem/condition(s). Chiropractic care has been shown to be effect in decreasing pain, increasing function and restoring quality of life and wellness to those with shoulder pain problems. 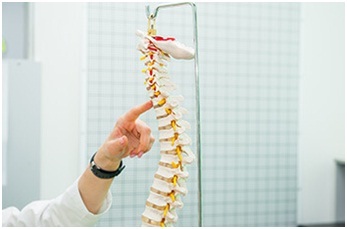 Our Stapleton Adelaide chiropractors go through all the appropriate measures to ensure you are receiving the right care and treatment for the right reasons in order to get the best results possible. After going through a comprehensive history and examination with you, our chiropractors may refer you for further imaging in order to gain deeper levels of clarity towards your condition. During your report of findings our chiropractors will sit down with you and explain to you what they have found to be the problem(s) and will discuss the best solutions to them. They may draw up geometry on your films (x-ray analysis) and go through them in detail with you. They will help you understand what condition your spine is in and your available options moving forward should action be recommended. Each treatment option will be explained to you so that you can make an informed and educated decision on which option you would like to take moving forward. If indicated (and you elect to do so), our chiropractors will spend time to construct a proper schedule of care geared towards your unique presentation to best address your problems. They will also help to work towards goals that you want to achieve (for example: get back to work, get back to sport, kick the football around with the family or whatever you aspire to do). Special additional time will be made to sit down and explain your schedule of care to you so you can understand what to expect when moving forward with your care (time frames, recommended adjustment frequencies, milestones and exercise implementation etc. ).